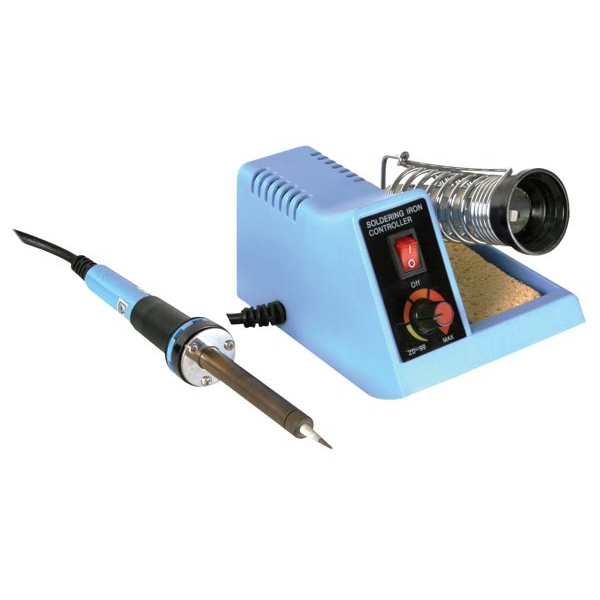 The Adjustable Soldering Station provides a 48W adjustable temperature soldering iron with a built in stand. This soldering iron can be used for a variety of general electronics applications. It has a power on/off switch with an LED indicator. The temperature can be adjusted from 302°F to 842°F (150°C to 450°C). Uses the BITS5 replacement soldering iron tip.